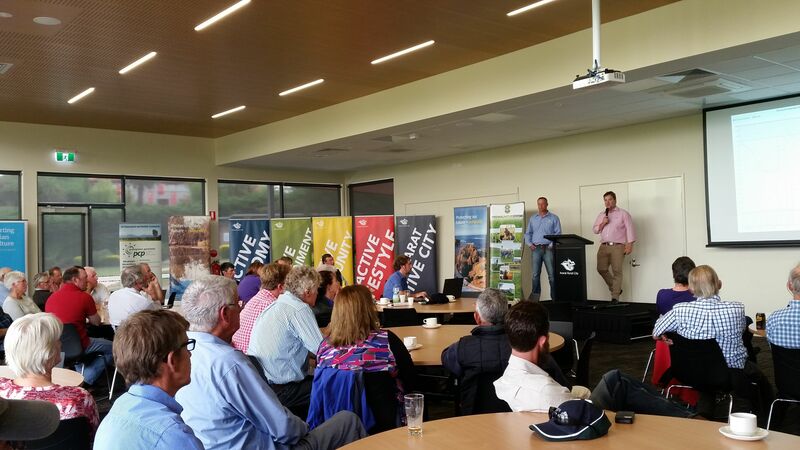 Ararat Rural City Council is eager to engage with businesses and primary producers and as such is continuing the strong tradition of hosting a Business Breakfast. To be held on Tuesday, November 20 from 7am to 8.50am at Alexandra Oval Community Centre, the breakfast is a great opportunity to hear about some of the many exciting projects happening in the municipality. Key speakers throughout the morning will be new Ararat Rural City Council CEO, Dr Tim Harrison, Grampians Tourism CEO, Marc Sleeman and Coordinator Industry Skills Project, Shelly Chalmers. Ararat Rural City Council Mayor, Cr Peter Beales said past business breakfasts had proved to be a great forum to share ideas. “This will be an excellent opportunity to network and find out about the exciting projects happening around the region,” he said. Bookings to the Business Breakfast are essential. Please phone 0437 715 673 or email pcairns@ararat.vic.gov.au by COB on Friday, November 16.